I offer one to one singing lessons for any level of singer from complete beginner through to professional level. All lessons are tailored to suit the individual and nervous students are most welcome as are people of all ages. Classes take place at my home studio in Harlow, Essex. I have a full up to date enhanced DBS check available on request. 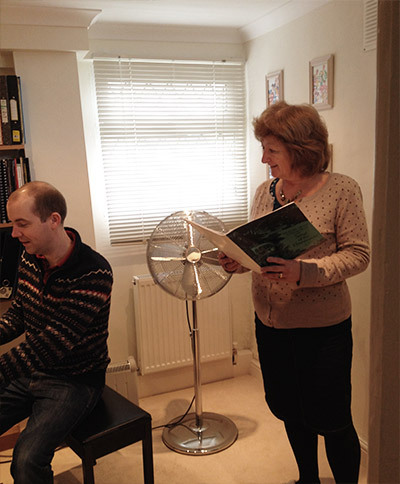 I accompany all lessons on the piano and have lots of music I can provide if you do not bring your own. I teach all musical styles from pop to musical theatre, jazz, rock etc. Lessons can last either 30 minutes or a full hour. Please click on the Price List link above for a full list of prices. In the singing classes you will learn vocal technique, how to interpret and deliver a song, musicality and studio technique. Students who wish to gain Trinity board singing grades can do so with me, but this is by no means compulsory! I can also arrange recording studio time for anyone wishing to record singles, demos or albums. My piano lessons aim to equip the student with the ability to play and interpret music with style, confidence and individuality. All lessons are tailored to suit the individual and nervous students are most welcome as are people of all ages. Classes take place at my home studio in Harlow, Essex. I have a full up to date enhanced DBS check available on request. Students will learn to read music and be taught how to apply this to play accurately and fluently. Sheet music at the appropriate level will be provided for every student and my aim is always to build confidence and have fun! Students wishing to take ABRSM piano grade exams can do so with me, but this is by no means compulsory! 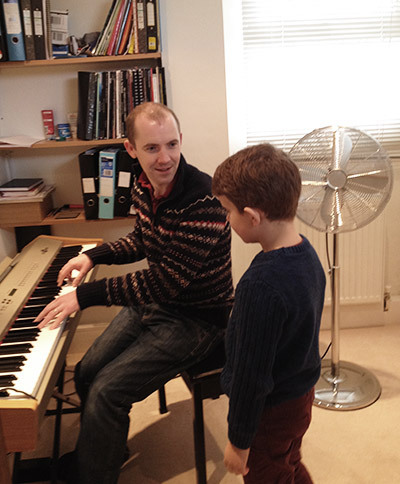 Prices for piano lessons are the same as for singing and can be found by clicking on the Price List link above.